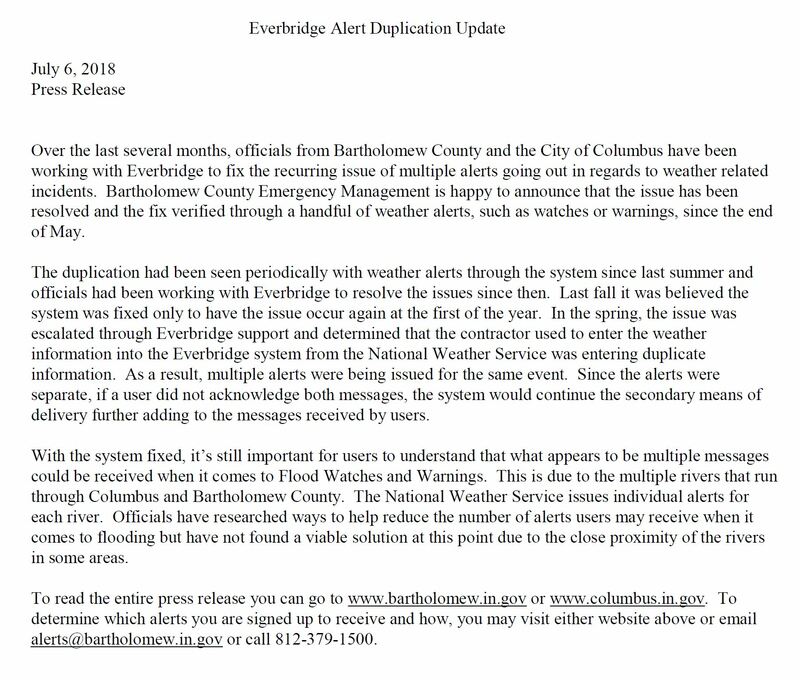 The mission of Bartholomew County Emergency Management is to reduce loss of life and property while protecting our county's critical infrastructure from all types of hazards through a comprehensive, risk-based, emergency management program of mitigation, preparedness, response and recovery. Emergency Management's goal is to help our citizens prepare for and cope with any type of emergency through the maintenance of the County's emergency operations plan. This document coordinates all fire, law enforcement, medical, and other allied disaster agencies. A large portion of the office's responsibility is to educate the general public and businesses on disaster preparedness and response. The office is also responsible for emergency communications for the community in the event of a large-scale failure.